There’s no better greeting after a long drive from State College PA to Hoboken NJ than the sweet and spicy aroma of simmering meat sauce. 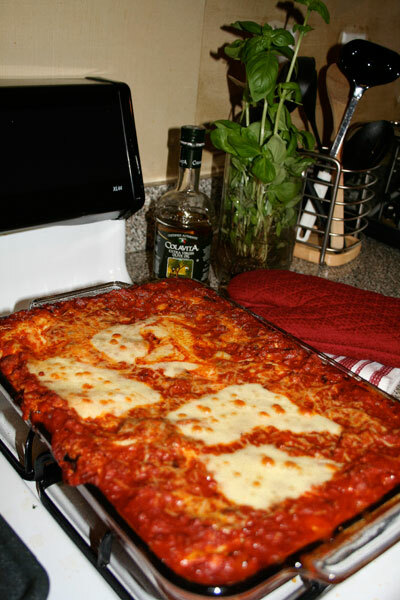 Nick treated Emily to a hearty and impressive lasagna one Friday evening. We didn’t eat until almost 10 p.m., but it was well worth the wait! This is a must try. In a separate large pot, bring lightly salted water to a boil. 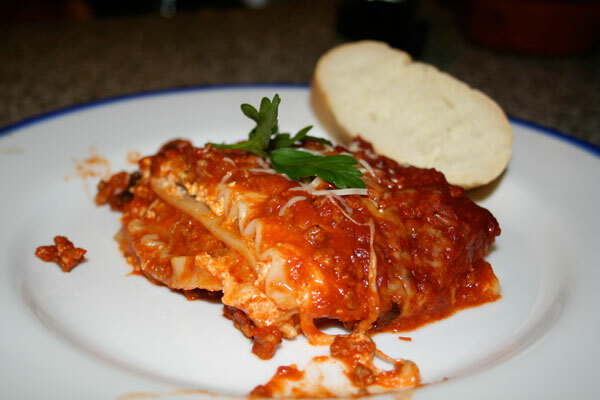 Cook lasagna noodles in boiling water for 8 to 10 minutes. Drain noodles, and rinse with cold water.